Here is some news about an event Indian handloom weavers look forward to. I attended the Handloom Week exhibition at Crafts Museum, Pragati Maidan, New Delhi in December-end, 21st to 28th December 2009 to be precise. It was a colourful event, showcasing the frontiers of Indian handlooms. The highlight was a Fashion Show titled “Symphony of Weaves” held on the inauguration day. The exhibition too began on the same day. A lot of prominent citizens took part in the fashion show. Eminent actor Ms. Shabana Azmi, renowned fashion designer Ms. Ritu Kumar, and Md. Azharuddin, ex-captain of the Indian cricket team walked the ramp along with professional models. Shabana in fact volunteered to be the Brand Ambassador and her enthusiastic presence boosted both the exhibition and fashion show. The fashion show was an attractive affair, with items from the major regions of handloom India presented in clear segments. There were sarees and dresses from the South, North, West, East and North East. The models on the ramp displayed not just traditional Indian handlooms but interesting apparel concepts fashioned out of handloom dress materials and would you believe it, some stunning sarees! Handloom sarees from all corners of India lit up the show. 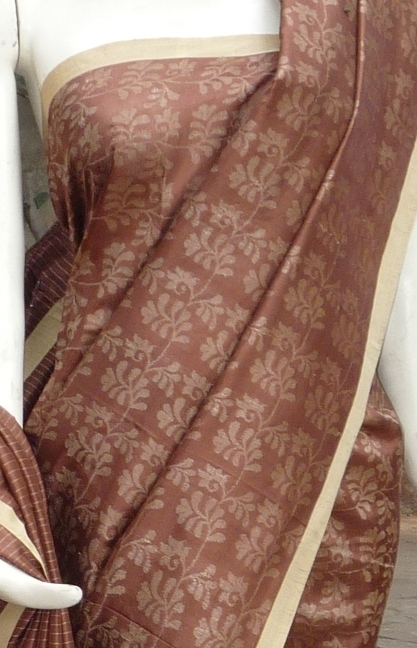 Here are some of the entrants from Bengal handloom – Fulia and Shantipur sarees. Check out for yourself! 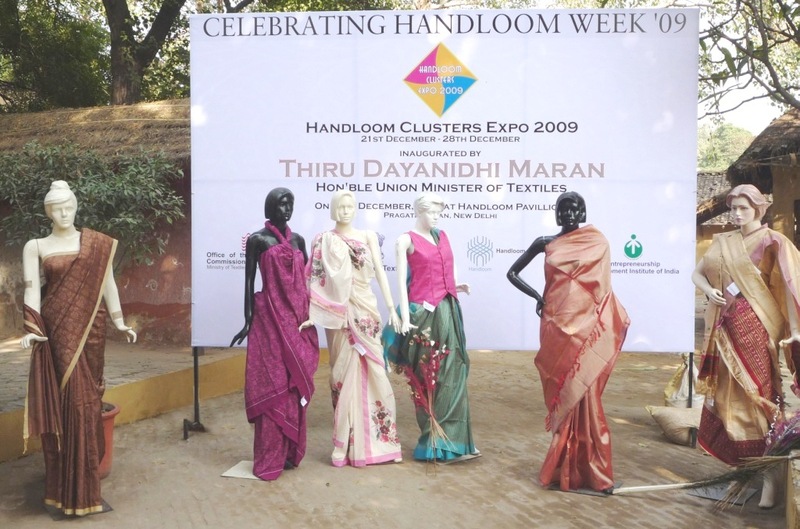 Handloom Week Exhibition was organized by the Development Commissioner of Handlooms, Ministry of Textiles, Govt. of India. All the participants were from the 20 clusters with ongoing Integrated Handloom Cluster Development Projects under Ministry of Textiles, Govt. of India. The Best Design award went to Chanderi and Bargarh clusters jointly.